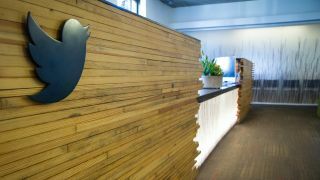 Twitter just turned in another disappointing earnings report, and the future is starting to look a little grim for the 140-character firm. Let's look at the numbers: though Twitter added 3 million monthly active users (MAUs) in Q2 - bringing its total user tally to 313 million - it's only a 3% increase year-over-year and a 1% increase from last quarter. Facebook, by the way, has 1.65 billion MAUs, though it will give us an updated figure on Wednesday. The good news, if you can call it that, for Twitter ends there. The company brought in $602 million in revenue, less than the $606.8 million analysts expected. Worse, it's the company's slowest quarterly revenue growth since it went public three years ago, according to Yahoo Finance. And to top it off, Twitter adjusted its Q3 revenue outlook to between $590 million to $610 million, way below the $678.18 million analysts are looking for. All this combined to send Twitter's stock tumbling in after-hours trading (Netflix knows how that feels). Despite Wall Street's reaction, Twitter is encouraged by the growth - however small - it's seeing. In a letter to shareholders, the company reiterated its commitment to its five priorities of the year: refining its core service, live-streaming video, creators and influencers, safety, and developers. "We made meaningful progress across each in Q2 and we're encouraged to see the direct benefit of recent product changes already driving increases in engagement and retention," the company noted. Among these five, video is far and away the cornerstone of Twitter's future. The platform wants to be the place where people come to see what's happening, and there's no better way to do that than by playing live news, politics, events, sports and entertainment, free of charge. Encouraged by the success of its Wimbledon and Republican and Democratic National Convention live streams, Twitter has more planned in partnership with Major League Baseball, National Football League and National Hockey League in the coming months. Its live video platform is still in the testing phase, but it plans to roll out a final product in the fall. Video, along with other platform changes, has led to double-digit growth in several engagement metrics, Twitter execs said on an earnings call. So that's the ticket, right? Just put up more live video and the people will come? No so fast. Turns out, actually earning money from videos is a whole other story, and not something Twitter has figured out just yet. Advertisers, those same execs admitted, aren't flocking to put video ads on the platform. More video and more engaged users should encourage spending, but if user numbers continue to stay small and show no signs of growth, that's a huge disincentive for marketers to pour money into the platform. Other, bigger social networks that also do live video (read: Facebook), are a better home for marketing dollars, at least right now. All Twitter can do is push out more live video, improve the experience, and work to convince companies it's worth their while to put ads on the platform. Big gets like NFL games should help with this, but it's no guarantee it's enough to rake in the dough investors are anxious to see. Video isn't the only area where Twitter could stand to improve. The platform's troll troubles are well-documented, and it has taken steps to improve reporting, blocking and banning (read this excellent Gary Marshall piece for a sensical solution). By the same token, Twitter is keen on preserving freedom of expression, and its aware of the tightrope it walks between the two. Though it was discussed in the shareholder letter, the only remarks made about the issue during the earnings call came from CEO Jack Dorsey. While he didn't go into specifics, he delivered a strong message. "We are not and never will be a platform that shows people part of what's happening and what's being said," Dorsey remarked. "We are a place for social commentary. At [Twitter's] best, it allows people to reach across divides. We hope, and we recognize it's a high hope, that it can elevate civil expression." "Abuse is not civil expression," he continued. "No one deserves to be the target of abuse online. We haven't been good enough in ensuring that's the case." This isn't the first time Twitter's admitted it hasn't done enough to combat abuse, and Dorsey said the company is continuing to make improvements, including building new tech solutions and making sure its policies are consistently implemented and properly communicated. He also stressed that improvements aren't enough - they must be implemented "faster" to help users feel safer on Twitter. The service that's synonymous with brevity is under enormous pressure to grow users and make more money. Yes, there are positive signs, but either analysts and shareholders alter their expectations, or Twitter has to get real about what it can achieve (that altered Q3 outlook is a sign it's willing to do so). Dorsey, who's also the CEO of Square, had little panic in his already tranquil voice, saying he believes Twitter has "so much farther to go" and that there are "really health signs" the company is headed in the right direction. "I have a lot of confidence in our ability and that our five areas are the right ones to drive growth over time," he said. That may be the case, and it could be that in two or three quarters, we see Twitter's five priorities pay off. If it can deliver on its promises - more live video, more reasons to engage, better controls on abuse, etc. - then not only will users come, but they'll also stay. Advertisers will see this, and they'll start turning out their pockets. At least, that's the plan. The only problem is that Twitter may not have a ton of time to make it all this happen. No pressure, or anything.